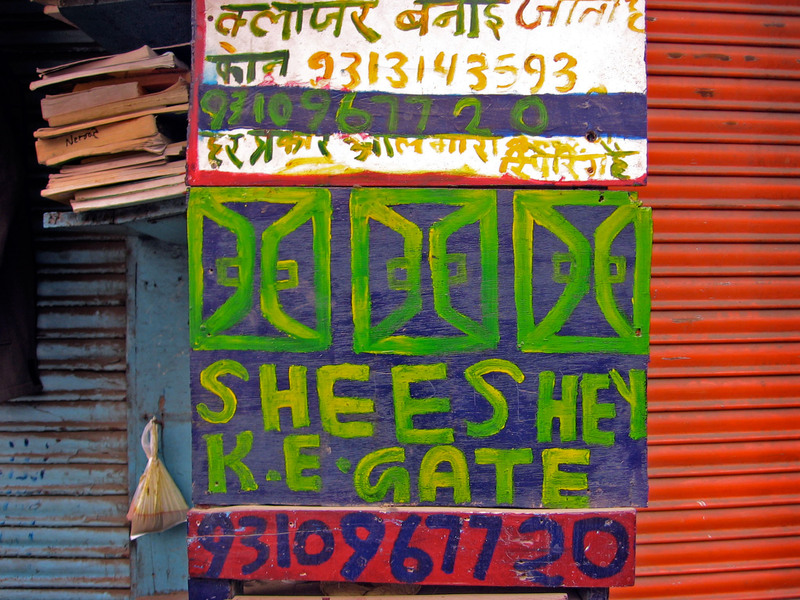 Sign at Delhi’s Sunday Book Market | More photos from "Delirious Delhi"
I loved the colors on this sign. I want to take it home and put it on my wall. Turns out it’s an ad for someone who makes glass doors. ← Delirious Delhi is out TODAY!